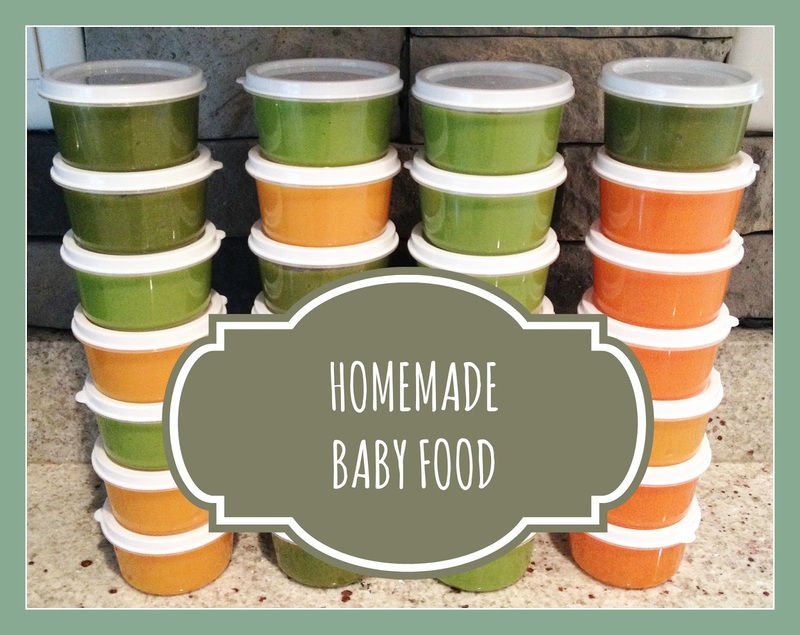 A lot of my followers on Instagram have asked me repeatedly to do a blog post on making my own baby food. So here it is! It's actually really easy. First I buy all organic veggies and fruits. If you can't get fresh organic, you can buy frozen. After doing a lot of research, fresh and frozen will still have the same nutrients! Also I try to stick to this list. 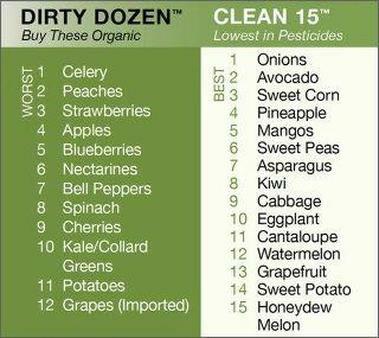 These are the fruits and veggies that you should splurge on and buy organic regardless because they are the veggies and fruits that are effected the most by pesticides. For stage 1 baby food, I actually peeled the skins off of all of the fruits and veggies before steaming them. 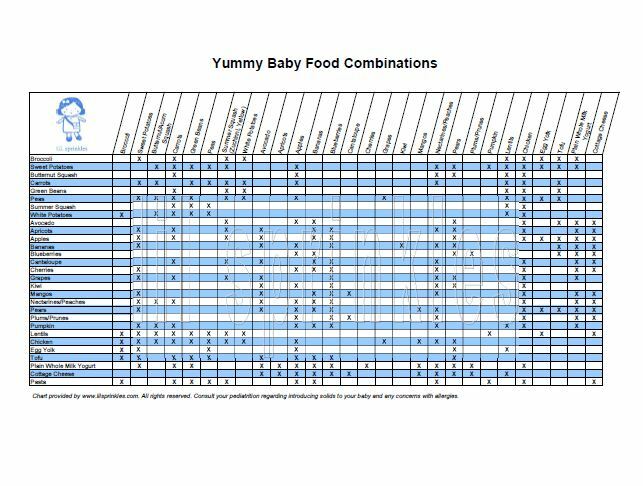 I found a great chart that gives you some suggestions on what combinations to mix together for a good flavor. First, prep all of your fruits and veggies. I cut everything into regular serving size pieces. Fill the pots about 1 1/2 inches with water. You may need to add more water as they steam. You want to use the water to help you blend the food, so don't be stingy. Let everything cook until it's nice and tender. Carrots and sweet potatoes take the longest to cook. You want everything fork tender but not mush. I steamed my combinations together. I found it much easier than to steam everything separate and then add. Charlotte's favorite by far is the blueberries and peaches shown in the lower left pot. One frozen bag of blueberries and 3 peaches. I used a slotted spoon to scoop out the veggies and fruit to add to the blender. Slowly add the water as you blend to get the consistency that you want. Stage 1 foods are going to be highly pureed! Stage 2 is going to be a thicker consistency and stage three can be chunky (or at least that's what I did). Now get your containers ready to start dividing up portions. I got these little containers from the dollar store. They come in packages of ten. If you don't have a dollar store, you can find them on Amazon. Let all of these foods cool off totally before capping them to reduce the chance of a frosty frozen top after you freeze them! After everything is added up and divided, this came out to $0.29 per container. AND I know every ingredient that went into it! Believe it or not but it's a hell of a lot cheaper than buying pouches! I've recently starting taking the soups that I make for us and throwing them in the blender for Charlee. She absolutely loves them. This is Italian Pasta soup from SkinnyMom and came out amazeballs! For anyone interested in the blender. I just burned it out making a smoothie last week, so we recently purchased the Ninja Mega Kitchen and it is badass! I never thought that I would be so picky about what my kid eats. I mean, I knew I wanted to make his food, but it was purely because I was cheap. Now, I know exactly what he is eating and where it is coming from. The kid eats better than we do. I knew that when I splurged for the $8 a freaking pound on the organic grass fed beef for his food, while I spend A LOT less on ours, that I had really become a Mom. Hah! 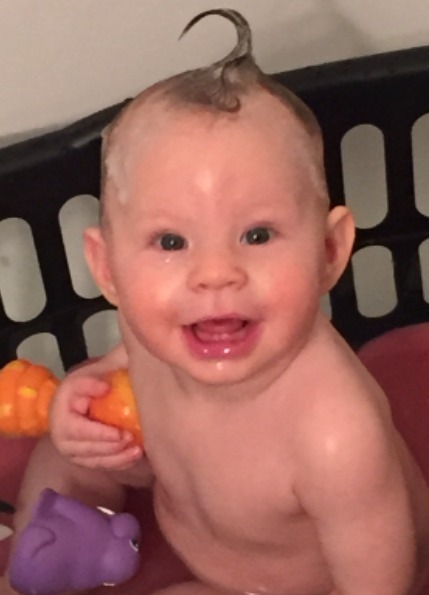 I loved making baby food for Jack and coming up with all different recipes for him. I swear he ate some much better when I pureed everything. I used the same containers from the $1 Store. They were the perfect size and stored well. I still have some of the fruit I froze in the summer and I add it to his iced cream, oatmeal and yogurt now. Since it's so hard to find fresh, organic food at a reasonable price this time of year I'm glad I made so much over the summer. This is awesome! I hope I have the patient to do this when we have a little one! Look at you go Martha Stewart! So much better knowing what is going into your food, as well as Charlee's.